Hair loss is a health condition which is caused due to many factors such as hormonal changes, hereditary factors, poor nutrition, and certain medications. Many people face this problem but this condition is common in men. Majority of people encounter this problem due to overstyling and excessive use of hair products. In addition, many people encounter this problem due to poor nutrition and consumption of drugs. People who smoke may experience excessive hair loss and people who consume liquor as well. Persons who eat more processed foods than healthy eating regimen are more likely to encounter excessive hair loss. 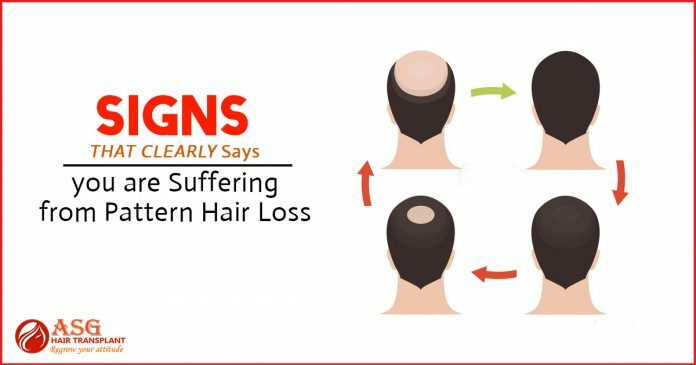 Hair fall condition in men known as Pattern hair loss which affects their crown and hairline most. Moreover, there is a number of treatments available nowadays, for example, hair transplant, a scalp reduction process, and natural ways to treat fall. Males who are suffering from pattern hair loss may experience M shaped hairline on their head. Which cannot be treated without the surgical procedure such as hair restoration or hair transplant surgery. The reason behind this condition is a DHT hormone, which is responsible to stop hair growth. This is the hormone which additionally affects the hair follicles as well. This condition is common most of the men due to smoking and overconsumption of drugs. People who encounter this condition notice an extreme amount of hair on their pillow after waking additionally, some times they also notice hair at the shower. This condition happens due to dandruff because dandruff is the foremost reason behind itchy and flaky scalp. You should concern your doctor as soon as possible in order to treat your hair fall problem. In this type of hair loss men usually, start losing hair from the top or crown of the head. This is not only the symptom of this condition, but they may also experience hair thinning. This condition is usually common in men and they start losing their hair from the top first. In this type of hair loss, your hair goes to the resting phase. In this phase, your hair follicles stop hair growth, which after leads to pattern hair loss. In this manner, you must talk to your doctor, he may suggest you the better treatment in order to treat this type of hair loss. He may recommend you to take hair transplantation procedure which gives more permanent results.